Hours after launching its first rocket of the new year on Friday morning, Elon Musk’s company told stunned employees that roughly 10 per cent of SpaceX’s workforce would be laid off. Workers were sent home early to await notification to their private email addresses about their fate. The vast majority of Space Exploration Technologies Corp.’s more than 6,000 employees are employed at its headquarters and rocket factory in Hawthorne, California, and hundreds of others are based in Seattle, Florida, Washington, D.C. and Texas. Some 577 positions will be cut in Hawthorne, Jan Vogel, executive director of the South Bay Workforce Investment Board, said in an interview Sunday. Those cut include production managers, avionics technicians, machinists, inventory specialists and propulsion technicians. SpaceX flew a record 21 missions in 2018 for customers that include commercial satellite operators, NASA and the U.S. military. But the market size for launches is not infinite, and SpaceX President and Chief Operating Officer Gwynne Shotwell warned there might be a slowdown in orders from the geo-telecommunications industry. Musk founded SpaceX in 2002 to revolutionize space technology. The company, along with Boeing Co., has a contract with NASA to fly American astronauts to the International Space Station on a spacecraft named Crew Dragon. 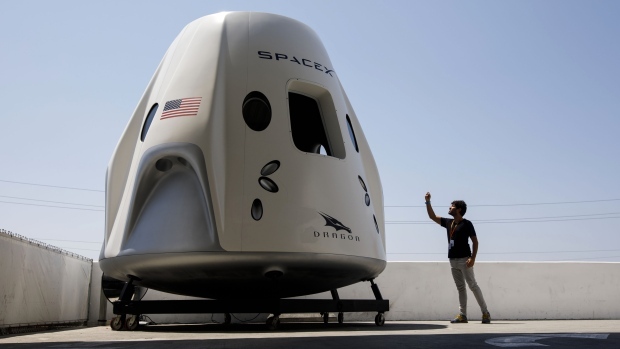 Despite the ongoing government shutdown, Crew Dragon is slated to fly for the first time in February without humans on board. SpaceX is also working on a space-based broadband satellite network and Starship, a larger spacecraft designed to carry humans to Mars. Musk is also the chief executive of electric-car maker Tesla Inc. (TSLA.O), which laid off roughly 9 per cent of its workforce in June. As with Tesla, some SpaceX employees who were laid off took to social media to thank Musk for the opportunity to working for him, including Justin Arredondo, a supply chain specialist. Last week, SpaceX disclosed in a regulatory filing that it had sold US$273 million in equity as part of a plan to raise a total of $500 million. The sale would boost the rocket company’s market capitalization to around US$30.5 billion, the Wall Street Journal reported in December. Who's going to pay for Tesla's new Chinese factory? Elon Musk in China to break ground for first Tesla factory outside U.S.